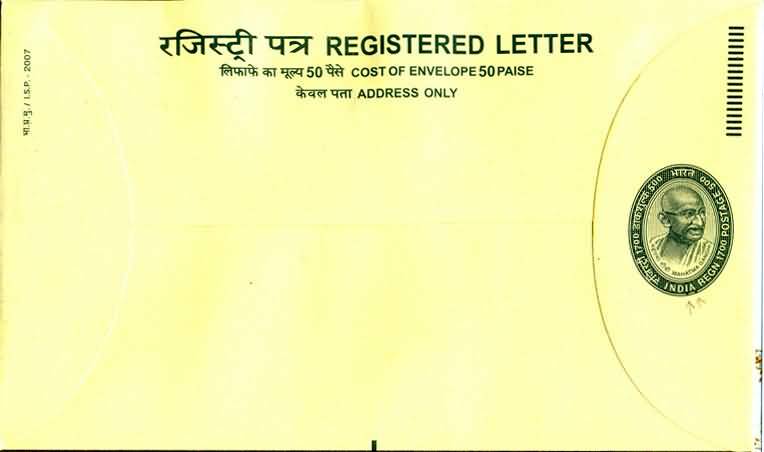 India Post issued Registered Envelope in the denomination of Rs 22.50 with the motif of Mahatma Gandhi on March 1, 2007. 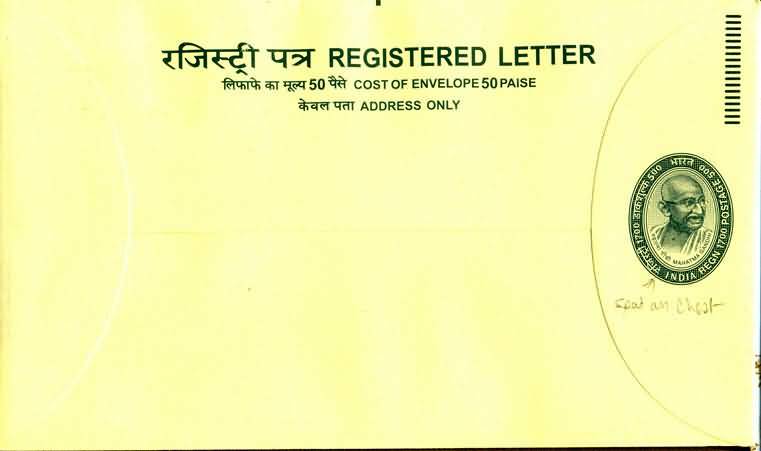 The denomination covers basic inland postage of Rs 5, registration charge of Rs 17, and stationery charge being the cost of the Envelope at Rs 0.50. The issue was printed at India Security Press, Nashik Road on Azure Laid Ledger paper with special blue color security ink. This issue was first printed on February 23, 2007. Later on June 30, 2007, the Press printed the issue with the imprint ISP 2007 that is the intianls of the printers' name and the year of printing. This was the first time that imprint was used on the Registered Envelopes although other articles of postal stationery have incorporated the imprint several years ago. The Press printed again this issue on January 31, 2008 but this time with imprint as ISP 200.